LOL Was not expecting that!! Good one, Frank! 😂😂 I needed a laugh today. Thank you. Wahahahaha!!! You have de-stressed me a lot, Frank. Thank you so much. 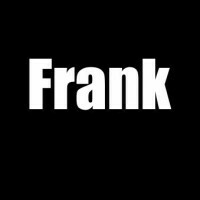 Now frank,Frank ,Frank ,I truly liked this one.caught me off guard it did. But great 👍.